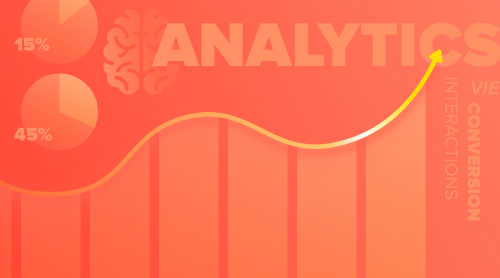 Find out what the fifth app we’ve released in five months has to offer you! It’s already been 5 months since the Elfsight team has launched Elfsight Apps – a SAAS service aiming to give you a fast and easy way to expand your website’s functionality. These 5 months have been very productive, and the good news is that we’re not going to stop. Our service is growing very rapidly, and today we’re happy to present its fifth product – Elfsight Social Share Buttons. Our development plan is to a great extent shaped by our customers’ requests, and this app is something many people have longed to see. So what does this very much requested app do? Increased brand publicity – let the world find out how great you are! As you can see, this widget offers you breathtaking new opportunities for growth and development, which is just as we intended it to be! Those of you who have been with us for some time, know that we’re happy to do all the hard and boring stuff ourselves, letting you to enjoy the benefits of our apps and, well, just have fun! So like any other app from Elfsight Apps, Social Share Buttons doesn’t require much time or any coding skills to install and set up. 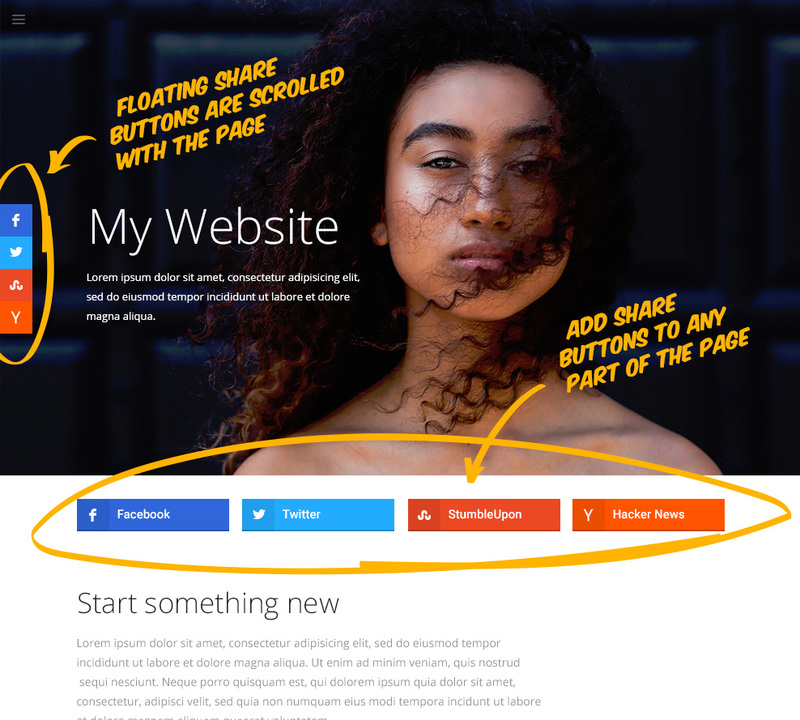 Embedding it and using on your website is unbelievably easy and intuitive. What do you need to know before you set up the widget? 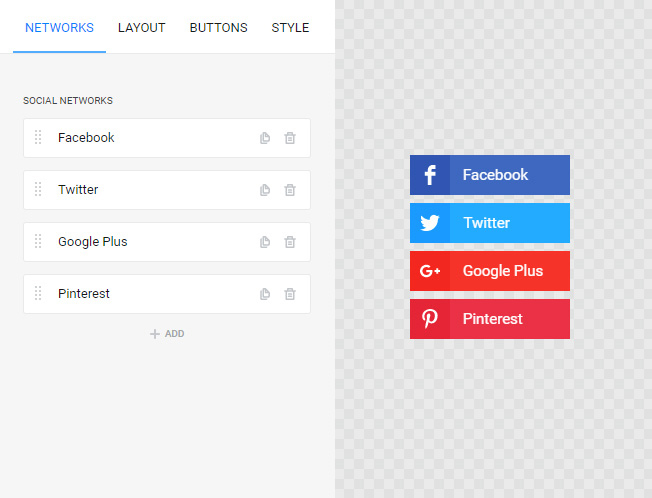 Social Share Buttons features four groups of settings, each on its own tab – networks, layout, buttons and style. This is the tab where you choose the social media to share your content in. 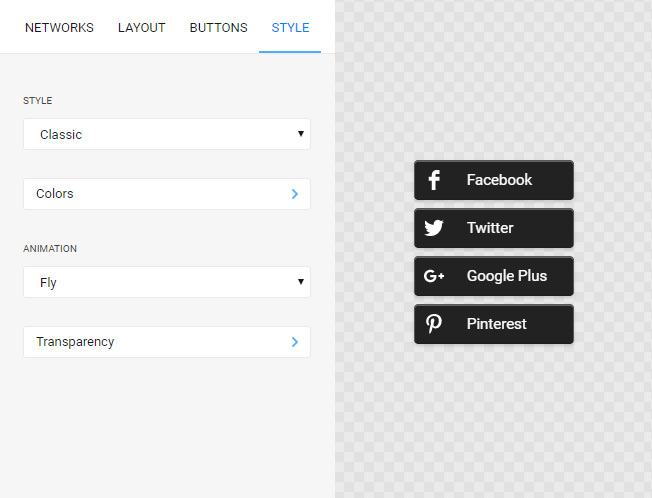 With as assortment of over 50 predefined social media buttons you don’t need to worry that your choice will be limited. Better still, you can display as many buttons as you like. Just press “Add” button and select the networks from the list! On this tab you can choose the buttons’ location and position, and if you need to display several buttons, this is where you can set the grid, that is, to break the buttons into the required number of columns and rows and set the gutter between them. 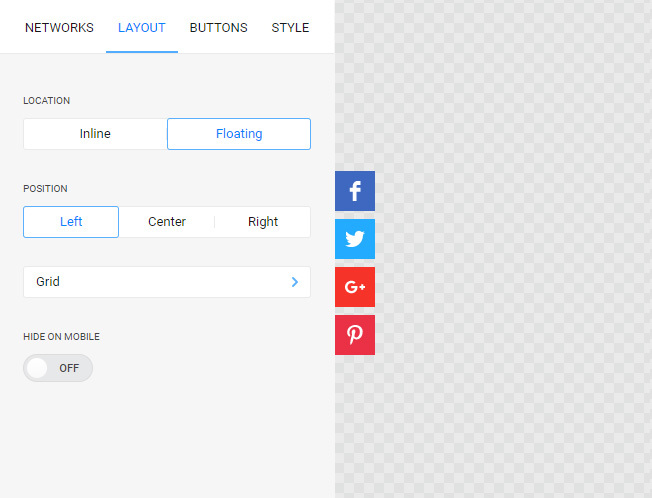 For your greater convenience, and to let you style the buttons to fit into your website in the best possible way, we offer you a choice between inline and floating buttons. Inline buttons are positioned in one specific part of the page, and floating buttons scroll along with the webpage they’re installed to. On the Buttons tab you can choose the buttons’ shape and size. Here’s where you can also choose what to display on the button – the network icon, its name or both. 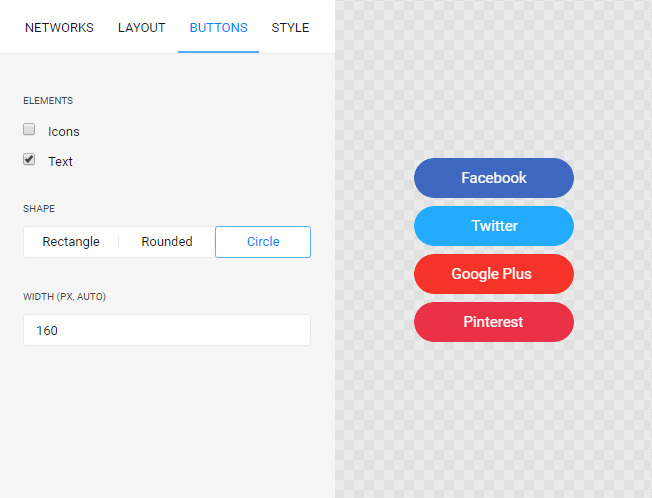 Go to this tab to choose one of the 4 predefined buttons’ styles and to set the colors, hover animation and transparency. In most cases, the default settings that we offer will work just fine, but if you need to change anything, you can do it quickly and easily. 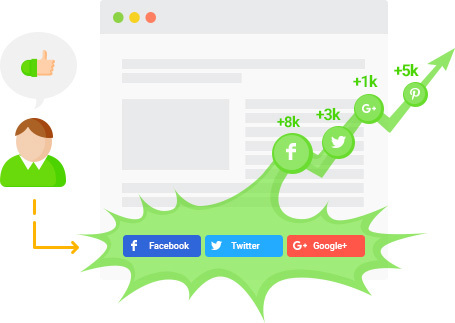 You can always use Social Share Buttons for free, but if you need to upgrade your Views limit, or if you need more than 1 widget, you might choose to subscribe to one of the commercial plans. 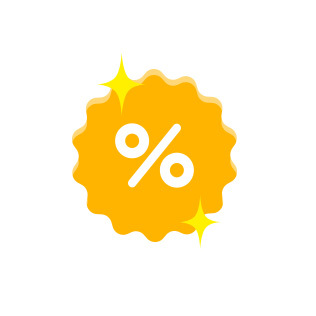 To commemorate five months of Elfsight Apps and our fifth product, we’re offering you a 20% discount for your first payment. The offer is time limited, and the coupon will be valid for 5 days only. Check out the live demo and use the app for free! Get the look and feel of this amazing new app!